6 APR 19: Packet pick-up 0700-0930 at MWR Fest Tent. Visit the Info Booths. 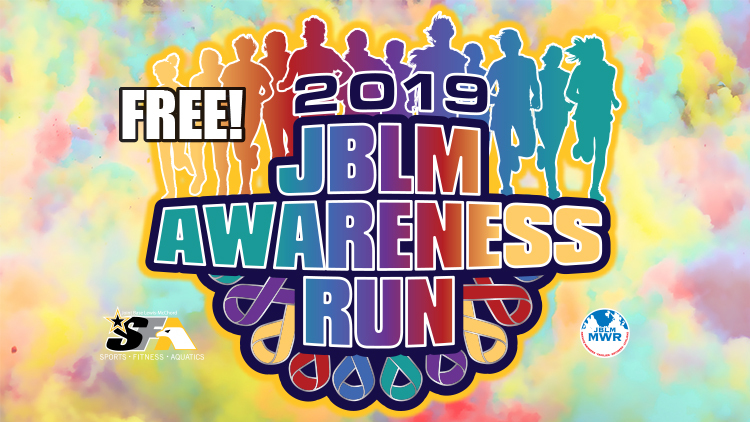 We want to thank everyone who signed up for this year’s 2019 Awareness run! We will be set up for packet pick up 4-7 p.m. April 5 at Sam Adams Brewhouse Cascade located at 2400 Bitar Ave. & Division JBLM Main. Race day packet pick up is 7-9:30 a.m. at the MWR Fest Tent. There are 1,740 participants registered, please plan accordingly. We would like to remind runners, that this is a color run. Color will be thrown in the air at various locations. We will remind runners before the start that while the color is food soluble, that we still do not want to get it in our eyes. With this said, it would be a good idea to bring some type of eye protection and clothes which can get food coloring on it. The color can stain clothes and the skin. Typical machine washing, with stain remover should remove the stain. Only the first 1,300 finishers will receive a medal. Any shirts remaining from the first 1,000 sign-ups, will be available after 11 a.m. at the registration booth. We will have a DJ playing music and sponsor booths for you to visit. We look forward to seeing you at the run! Online registration is now closed. Day of race registration available from 7 to 9:30 a.m. at the MWR Fest Tent.